Quick Study: Igor Sakhnovsky writes fiction with mystical, humorous, and romantic touches. 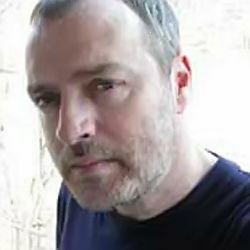 The Sakhnovsky File: Igor Sakhnovsky is a prose writer, editor, and poet who published his first novel, The Vital Needs of the Dead, in 1999 in the journal New World. Sakhnovsky’s fiction often combines realism, humor, and an element of fantasy or magical realism. His The Man Who Knew Everything, about a man who can access knowledge about nearly everything on earth after an electrical accident, was shortlisted for the 2007 Russian Booker and Big Book awards, and won the 2008 Bronze Snail award; the novel was adapted for screen in 2009. Psssst………: Sakhnovsky was first published in the newspaper The Orsk Worker as a teenager, in 1972. As a child, he told people he wanted to be Odysseus when he grew up because Odysseus was his favorite character. Travel appealed to him. Sakhnovsky’s Places: Born in Orsk, lives in Yekaterinburg. Sakhnovsky Recommends: Sakhnovsky told Cosmo his favorite, most essential, writers are Osip Mandelstam, Rainer Maria Rilke, Vladimir Nabokov, Ivan Bunin, Gabriel Garcia Marquez, Knut Hamsun, Innokenty Annensky, Ryūnosuke Akutagawa, and Marcel Proust. Anthologies: “A Family of Monsters” is in Read Russia! (Read Russia, 2012, story tr. Hugh Aplin) and online here.